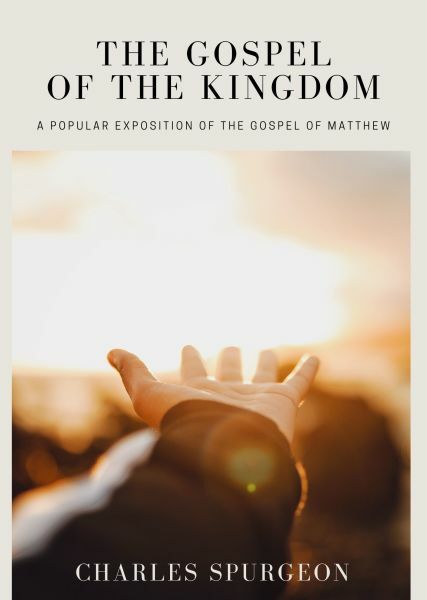 The Gospel of the Kingdom: A Popular Exposition of the Gospel of Matthew is Charles Haddon Spurgeon's only complete commentary of a New Testament book; with his only other commentary being The Treasury of David. He devoted two winters spent in the South of France to the production of this exposition. It was nearly finished when Spurgeon died. It was completed from his own spoken and written words (previously transcribed), by Mrs. Spurgeon and Mr. J. W. Harrald, his secretary; together they finalized several more of his works posthumously.